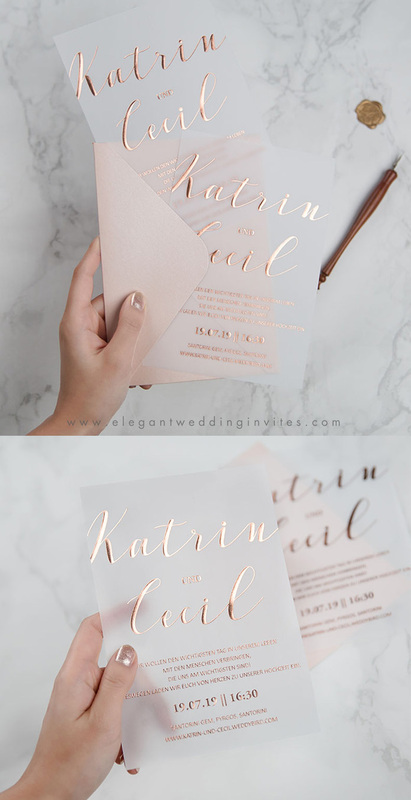 The biggest trend of wedding invitations in 2019 must be crystal clear. Modern, minimal and trendy, Semi-opaque and Transparent mediums like Vellum Paper and Acrylic are a fantastic way to add a modern twist to a classic design. If you love the idea of working vellum and acrylic into your wedding invitations, just take a look at our latest new arrivals and shop your favorite for your wedding day. 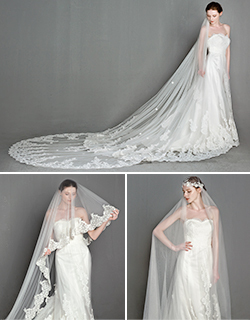 Hi brides, ever consider purple as your wedding color? 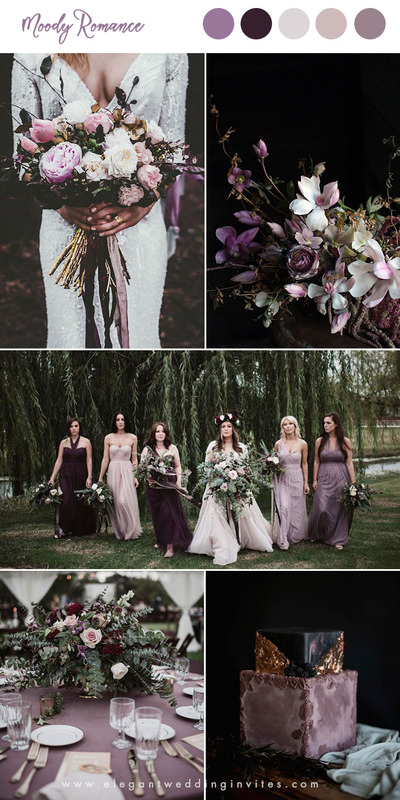 Choosing purple as your wedding color will create a mood of individuality, mystery and fantasy. Shades of purple is one of the most commonly seen colors in nature, as a large color family, it comes in a multitude of versatile shades, from pale to dark such as lavender, orchid, mauve, plum,eggplant etc.. In this post, we will show you 10 amazing purple wedding color palettes with matching purple invitaitons from Elegant Wedding Invites! 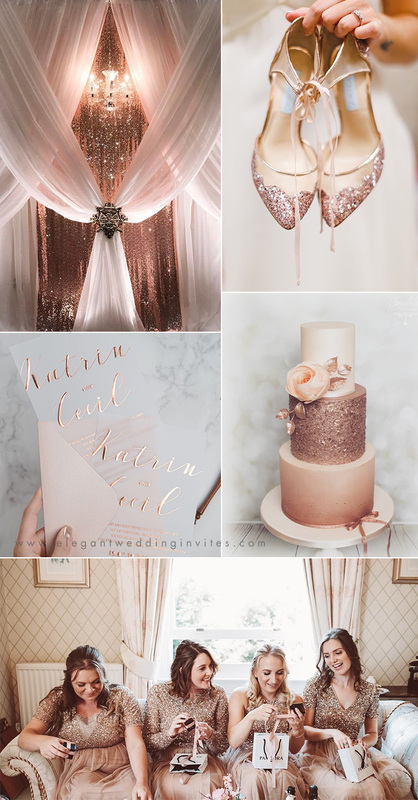 Ah we love everything about rose gold! 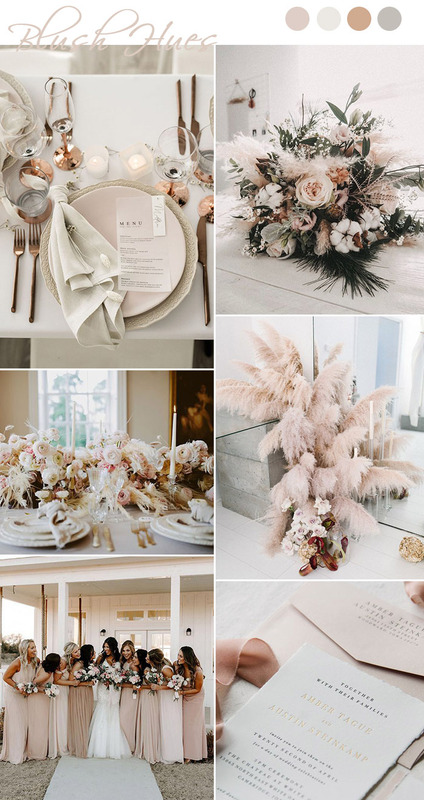 The rose gold wedding trend is nothing new, and nowadays this pretty, pinkish metallic hue can be seen in details at the chicest of weddings, from sparkling tabletop decor to stationery, from wedding cake to bridesmaids’ dresses, and even giant balloons, it is brings an instant romance to any wedding venues.Click through to discover all the best rose gold wedding ideas below. 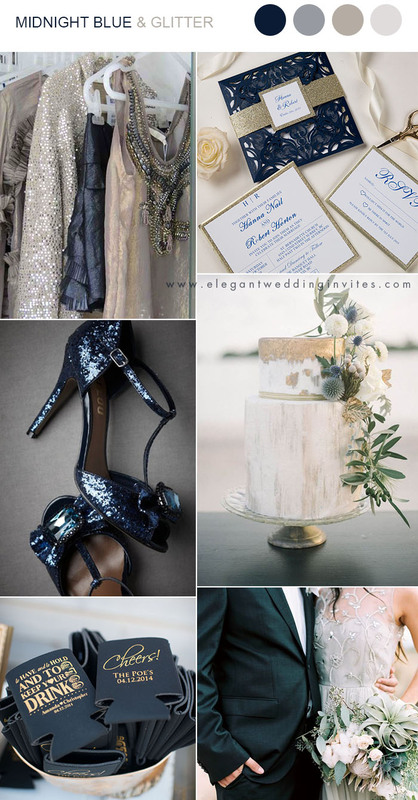 Searching for 2019 wedding trends, we see glitters/Metallics leading the way, from gold wedding dresses to sparkly shoes and wedding invitation with gold accents. 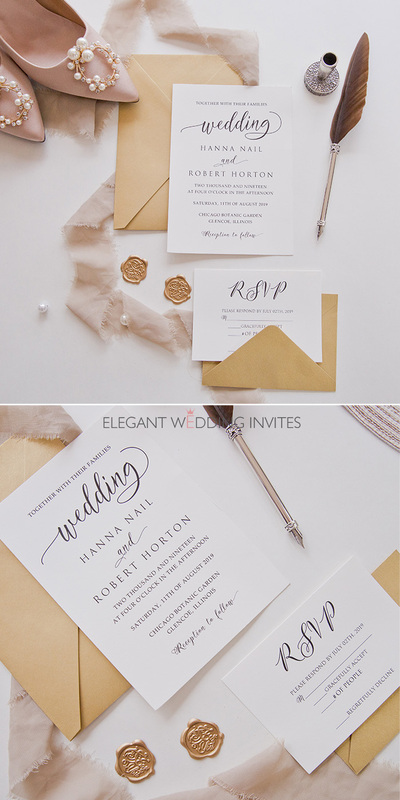 Metallic hues are an excellent way to complete your overall wedding aesthetic. 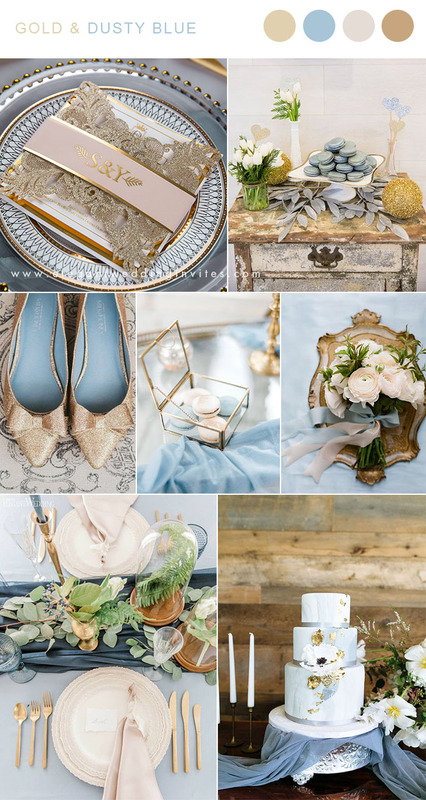 If you are a fan of metallic and want to have those in your big day, then check in and get inspired by some metallic wedding color ideas below. Enjoy!